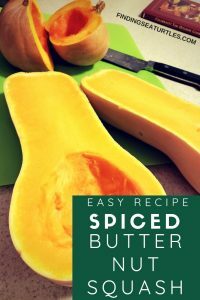 Easy Butternut Squash Recipe – the Best Butternut Squash Ever! 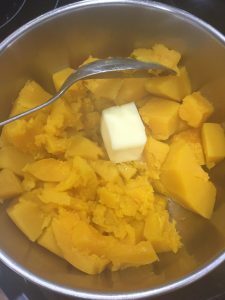 Here is our easy Butternut Squash recipe that will make your family including little ones ask for seconds. Spiced Butternut Squash is quick and easy to make. Serve this delicious side dish with Fall meals or at special holiday family gatherings. You can prepare this budget-friendly dish ahead of time. Save money by doing the prep work yourself. Your family and guests will be thrilled with this dish. Expect this easy Spiced Butternut Squash recipe to remain on the menu every Fall. Don’t be surprised if it quickly becomes a family favorite side dish! For this recipe, you’ll need some cooked, mashed Butternut Squash to start. 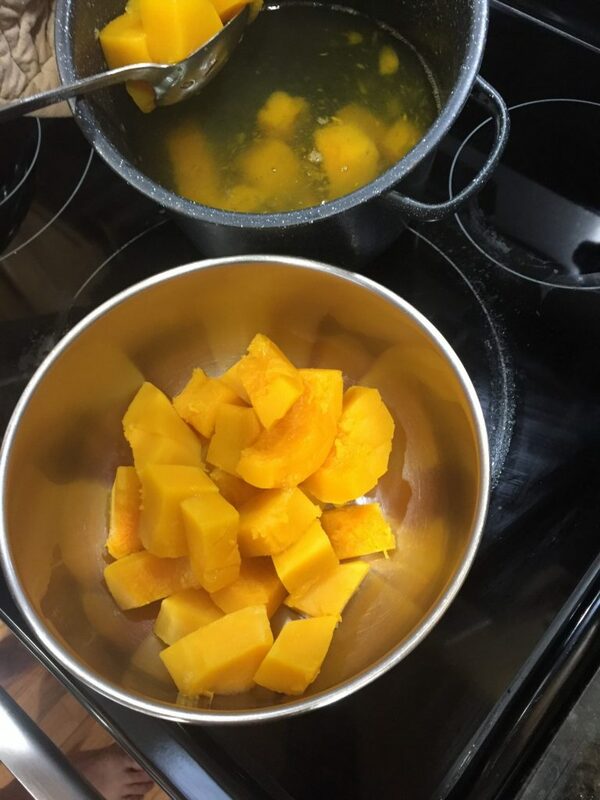 See our post on How to Cut a Butternut Squash to Cook for the prep work. 1 medium-sized butternut squash should serve 4 – 5 people as a side dish. 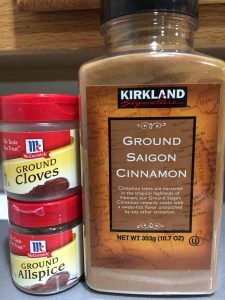 You will need butter, ground cloves, ground allspice, ground cinnamon, sea salt, and brown sugar to add to the mixture. Add some additional brown sugar and walnuts to top off before baking. The best time to add the butter and seasoning to the Butternut Squash is immediately after you cook and drain it. The squash will absorb the butter and seasonings better while the squash is still hot. 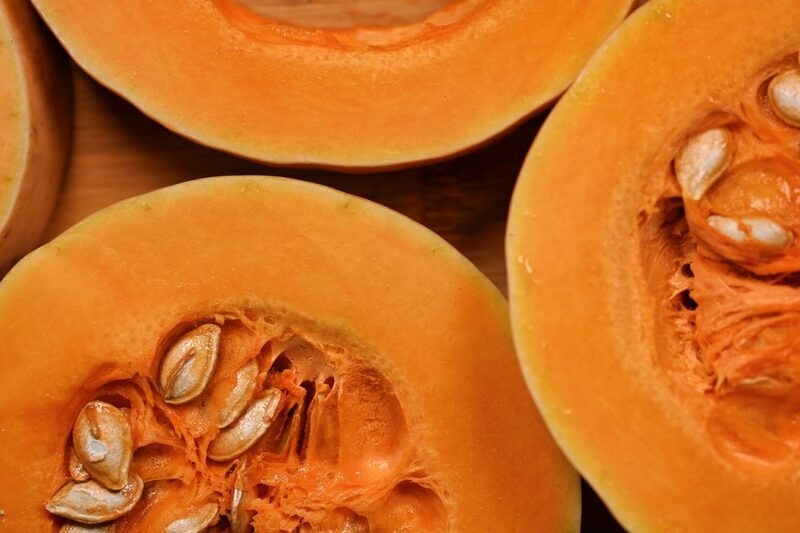 After you have drained any excess water from the butternut squash, pour into a large mixing bowl. Mash the butternut squash chunks. Add about 3 to 4 tablespoons of butter to the mashed butternut squash mix. There are usually 8 tablespoons per full length stick. Add 1/4 cup of brown sugar to the butter and squash mixture. 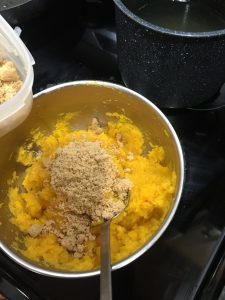 I use light brown sugar for this butternut squash recipe. You can use dark brown sugar instead of light brown sugar if that is what is in your pantry. Add 1 teaspoon of ground allspice. Next, add 1 teaspoon of ground cloves. Last, add 2 teaspoons of ground cinnamon to the butternut squash mixture. Stir the squash mixture so that it is blended well. 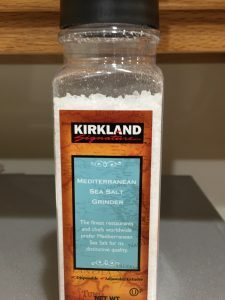 Grind Mediterranean Sea Salt into the bowl. We grind between 1/2 teaspoon to 1 teaspoon of Sea Salt. The larger the butternut squash the more seasonings and sea salt you’ll need to add. Season the butternut squash to your taste. Mix these ingredients thoroughly or until well blended. Now, if you are not planning on eating right away you can let the seasoned squash cool and then place in a container in the fridge. The cooked squash should keep for 2-3 days with no problem. When you are ready to eat, pre-heat your oven to 350 degrees. Put some seasoned squash in a thin (no more than 2″) layer on a piece of foil on a cookie sheet (or in any oven-safe pan or serving dish). Sprinkle some chopped or whole walnuts and/or pecans evenly over the squash. Sprinkle the remaining 2 tablespoons of brown sugar over the nuts. Place in the oven for 5-10 minutes if the butternut squash was just cooked. Bake the squash for 15-20 minutes if it was previously refrigerated. Bake until the squash is hot throughout. If you try this recipe, let us know how you make out.